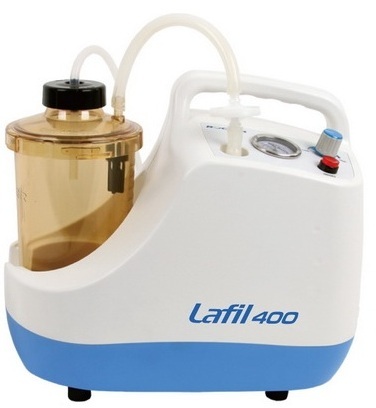 The Lafil 400-BioDolphin is an integrated suction system that combines a vacuum source with a bio-suction kit. 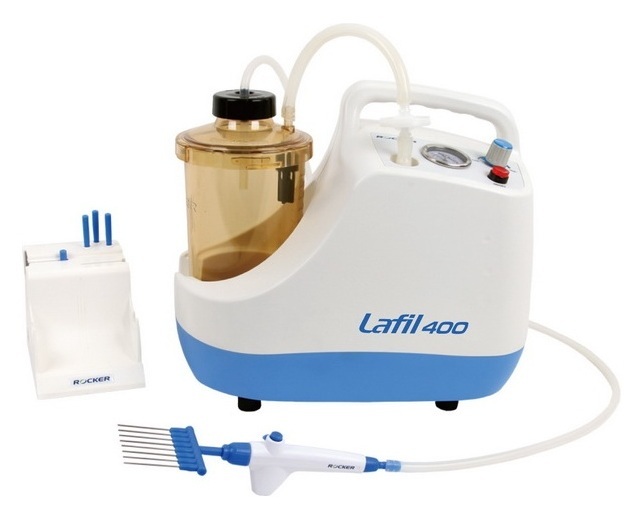 The compact design of the Lafil 400-BioDolphin conserves bench top space. 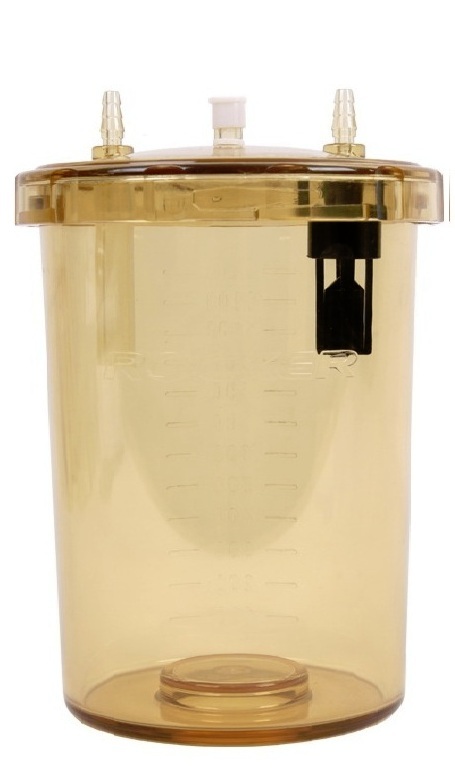 Dual overflow protection with a built in spill proof buoy, waste bottle, and hydrophobic disc filter between waste bottle and pump guards against contamination of the pump. 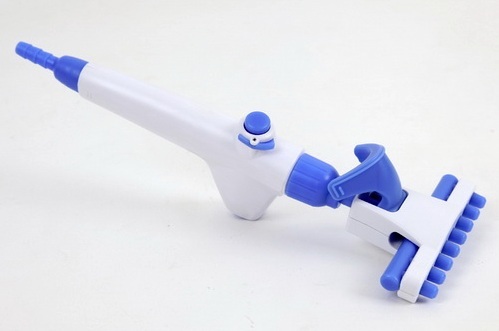 The BioDolphin handle features a quick connection coupling that makes changes of fittings quick and easy. 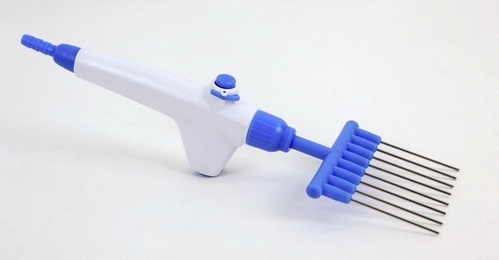 A lock switch design means that it is possible to keep continuous suction without continualling holding a button down. 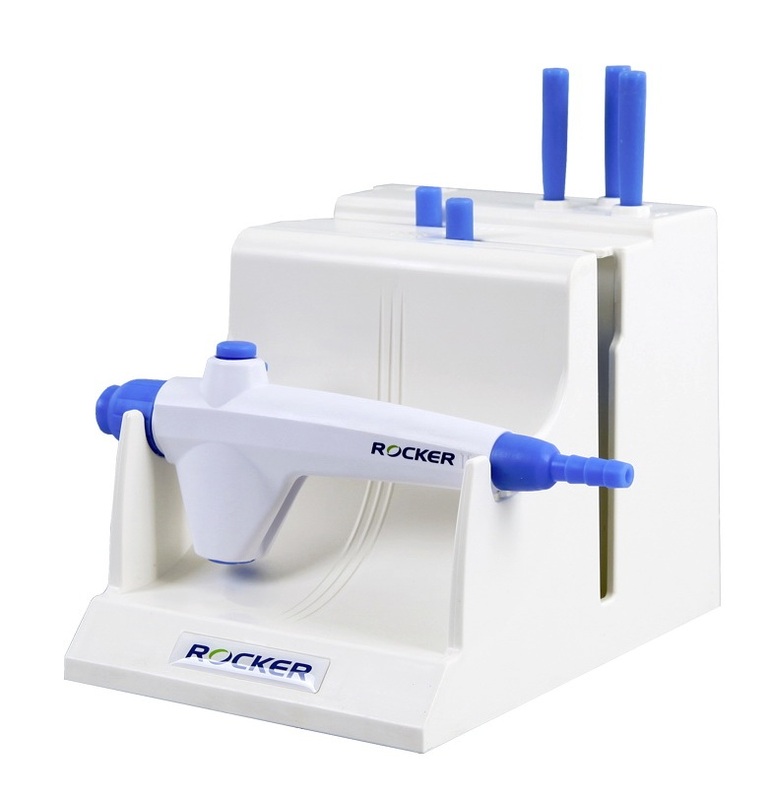 The BioDolphin storage rack holds all the fittings and the handle, and has a liquid collection system to handle residue dripping from fittings, for easy cleanup. Bottles and fittings are all autoclavable. 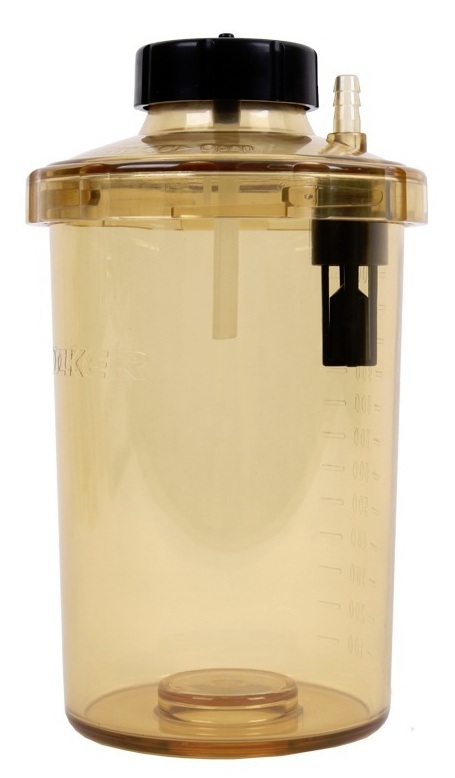 167200-35	 Disc filter for BioVac 225 and 235, PTFE sealed in a polypropylene housing, acts as a barrier to keep waste water from overflowing into the pump, autoclavable, 0.2 µm pore size, 37 mm diameter.